The Satcom Division of LLC (CPI) has been awarded a contract valued at more than $1 million from a major European integrator and systems provider to support an international direct-to-home broadcast services provider. CPI was selected because the company is a leading supplier of klystron-based amplifiers worldwide. CPI GEN IV Klystron Power Amplifier. 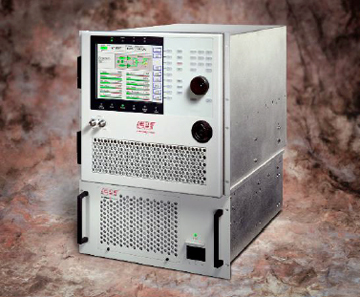 CPI is the one of the largest manufacturers of a wide range of high power communications amplifiers, including traveling wave tube amplifiers (TWTAs), solid state power amplifiers (SSPAs , often also referred to as BUCs) and klystron power amplifiers (KPAs). These amplifiers, which operate in frequencies from S-band to V-band, are used around the world in fixed and mobile gateways for both military and commercial applications. CPI’s satellite communications products are supported by more than 20 service centers around the world. For more information, contact CPI Satcom via the web at http://www.cpii.com/satcomsales or by phone at +1 (650) 846-3803.